Only in case of an emergency you should attack Tough Mudder on your own! While everybody helps everybody on the track, it's much more fun to conquer the course together with friends. That creates a bond that will hold forever. Once you've found your team, you can train together. 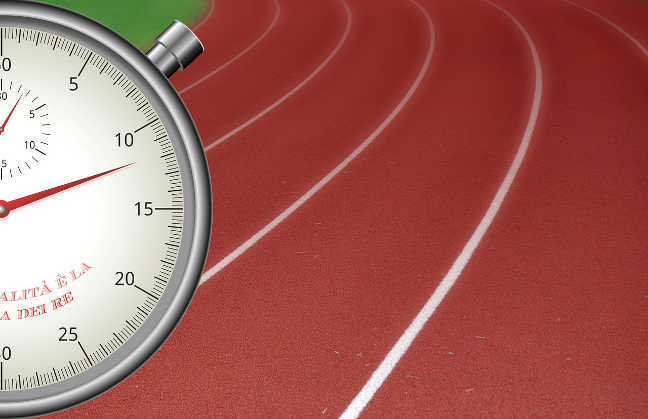 Either agree on a regular practice schedule or sporadically meet for a performance check. That way, you can make preparing a lot more fun. 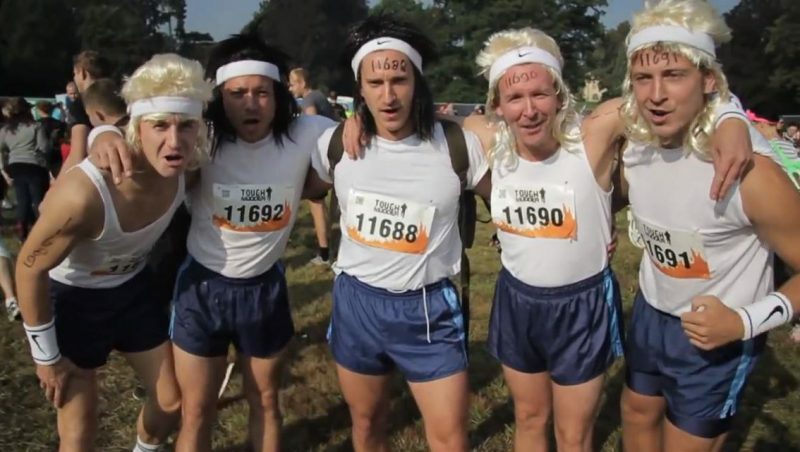 For our first Tough Mudder, we from Mudder Guide created a private Facebook group and agreed to a monthly performance check, which consisted of a number of different categories. We had to publish the results of our performance check in the Facebook group before the 15th of each month. The performance test was a great motivation! We didn't only post this month's results, but also those from the last months. That way, we always knew which of us had improved the most. It didn't matter who lead which category, all we cared about was our individual progress. And that was very positive for all of us in all categories! Decide collectively, which disciplines you choose. We chose a 2-mile run, push-ups, pull-ups, and wall-squats (primarily to strengthen our will, not our quads). We were allowed to spread the individual exercises over as many days as we wanted. Well, our first Tough Mudder was ages ago. In the meantime, we found a much better solution. That's the reason why our “Unleash the Mudder within you!” training program contains a regular “Mudder Checkpoint!” which gives you an exacat score. 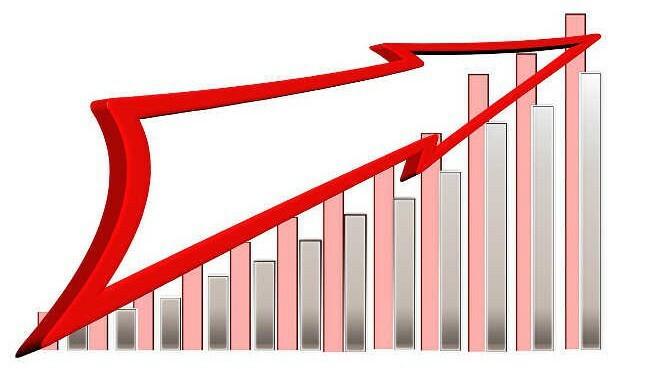 So you can measure your progress much better! 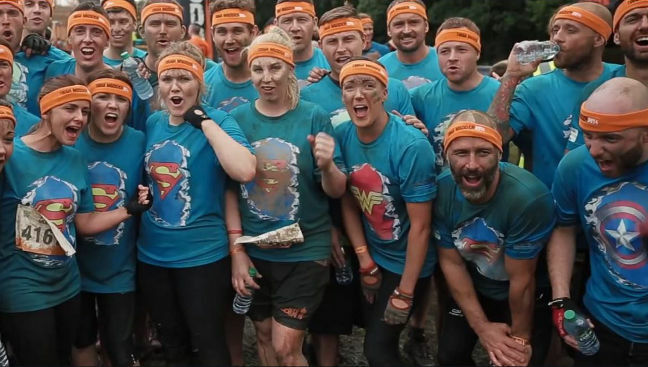 Alternatively, you can turn your Tough Mudder preparation into a competition and compete in a number of different categories. “A has to finish a 6-mile run 5 minutes ahead” of B or in the case of joining our training programm “A needs at least 50 points more than B”. Use your creativity and you can create any competition and wager you can imagine! Hopefully, you and your team find these ideas helpful. 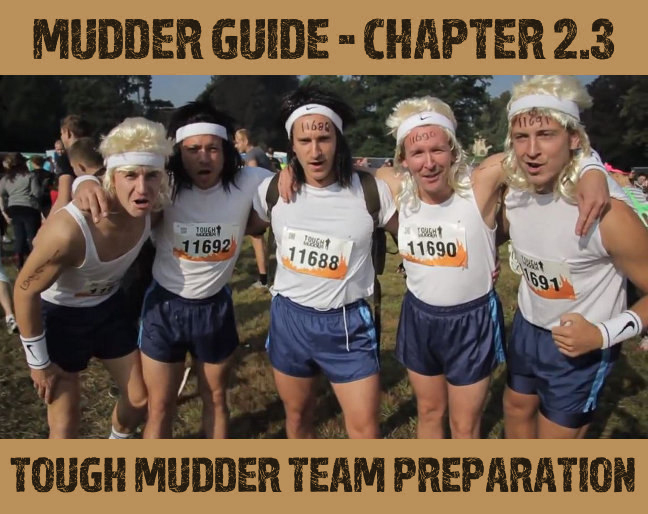 Always remember, Tough Mudder is a team sport. Every team is only as strong as its weakest link! Many companies and clubs pay a lot of money for team building events, where they build a raft or something similar. 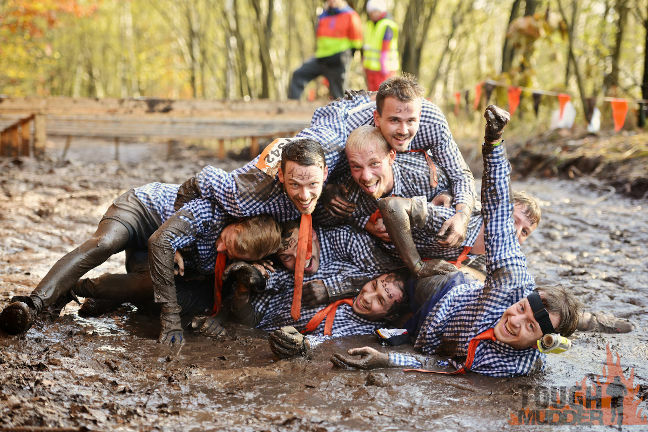 In our opinion, Tough Mudder has far more potential! This idea is so genius because the run itself is only the final event. The team building starts weeks earlier with your preparation as a team! Since everybody knows that your team can only be as strong as its weakest link, motivation is high. The strong will support the weak, and the weak will work hard to not disappoint anyone. That makes conquering one’s weaker self much easier! During the race, your team has to stick together. Laughing and suffering together will make everybody close! Even if you started the race as a group, you’ll finish as a team!